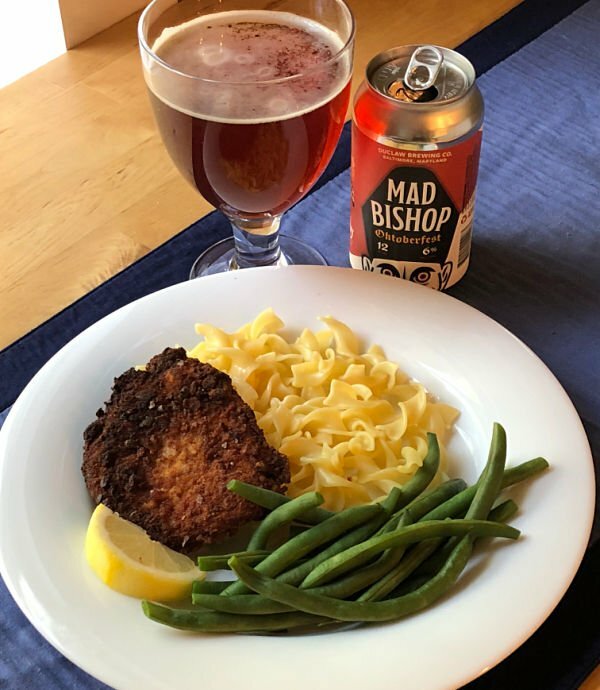 Thank you DuClaw Brewing for sponsoring this post and sending me the DuClaw Mad Bishop Oktoberfest. All opinions and the schnitzel recipe are my own. 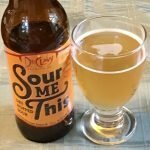 Welcome to the Augus edition of “Cooking with Beer”! 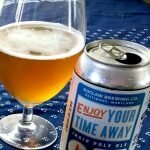 Each month DuClaw Brewing sends me a beer and a friend and I create a recipe. 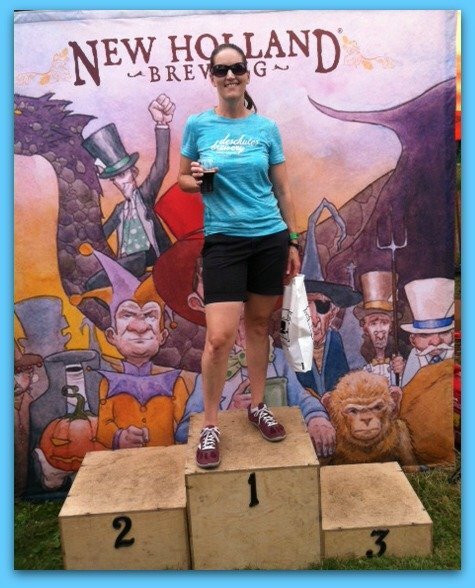 It’s a fun time to think outside the box and try a new beer and new food. 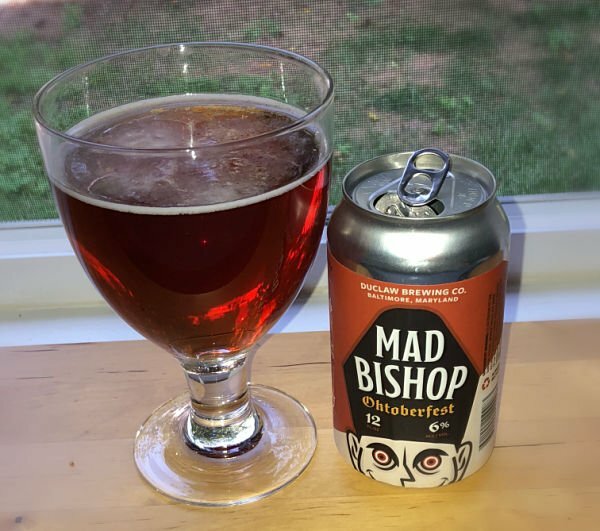 This month’s beer is “Mad Bishop Oktoberfest”, a traditional German Oktoberfest style beer. This style of beer is one of my favorites as it signals a move from the lighter summer beers towards the deeper darker beers that I enjoy most. 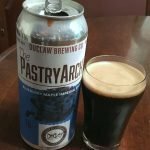 Unlike many of the beers I get to try from DuClaw, this one is pretty traditional and true to style and it always brings out the “traditionalist” in me. 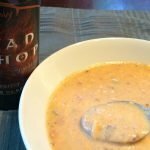 Last year, I made it into a beer cheese soup, a quintessential beer recipe. 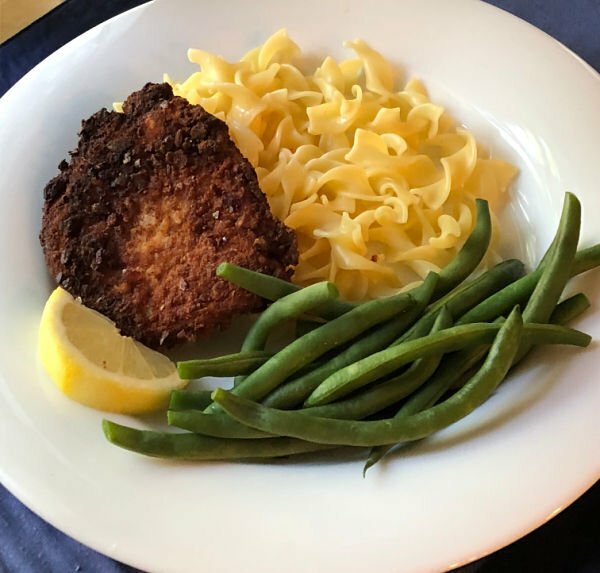 This year, we decided to go traditional again and went with a pork schnitzel – a recipe you often find on the menu of German restaurants. Because we never do anything exactly traditional, we opted to buy thin cut boneless center cut pork chops and not pound them flatter. I know, rebels! Feel free to do so if that’s your preference. They will cook faster that way. Also, we battered our pork with an egg and beer combo and then dipped them in crushed pretzels. The result? A tasty almost traditional German meal when served with buttered noodles (spaetzle would be even better) and green beans. Mix eggs, beer, and mustard in one bowl. Mix flour and lemon zest in another bowl. Place ground pretzels in a third bowl. Dip pork in flour, then beer mix, and then pretzels, coating both sides well. Place pork in hot oil. Cook until pretzels turn golden brown and flip. Actual cook time will depend on the thickness of your pork, but it should only be a few minutes per side. Squeeze lemon over pork and serve with buttered noodles and green beans. 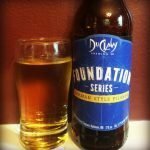 Disclaimer: DuClaw Brewing sent me beer to cook with and compensated me for this post. Recipe, photos, and opinions are my own.